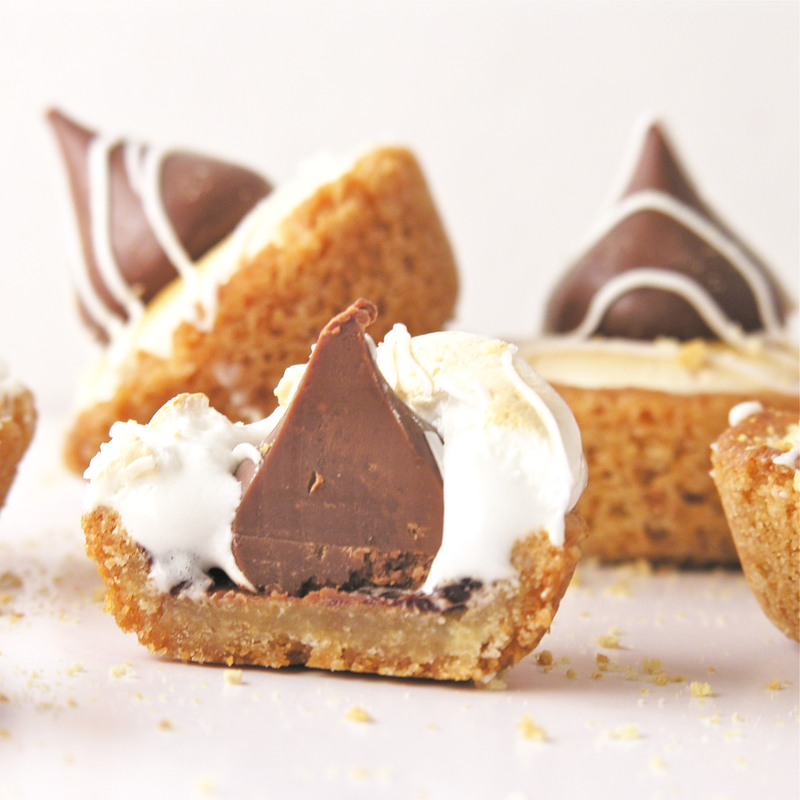 These mini graham cracker cookie cups are overflowing with soft marshmallow and chocolate~ a perfect replica of the summertime favorite~ in cookie form!! 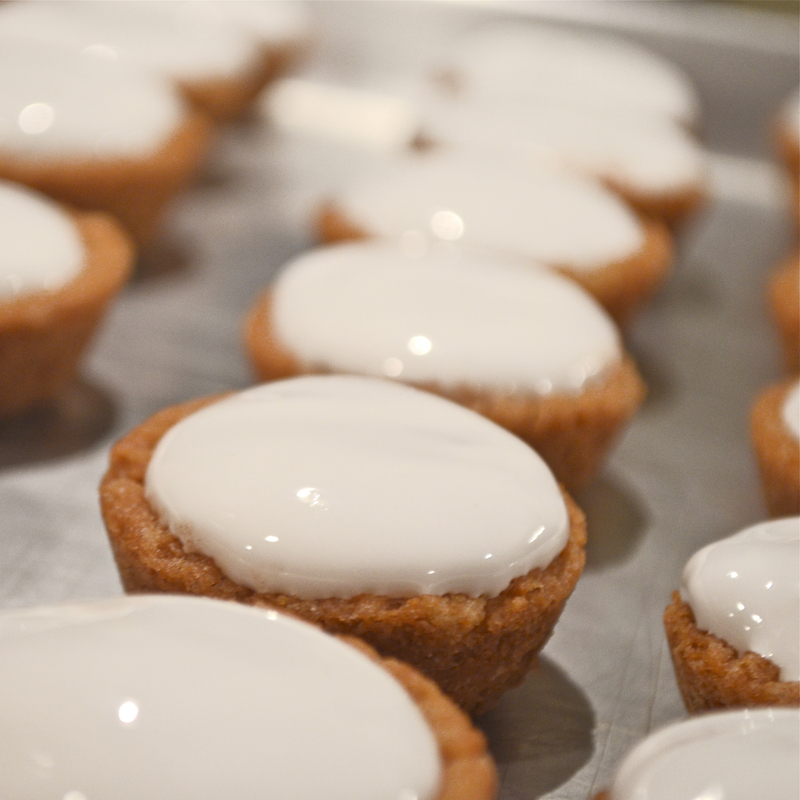 These little cookie cups were eaten up faster than any dessert I can remember. You simply can’t stop at one! I guess that’s because they are made with all the ingredients used in S’mores! 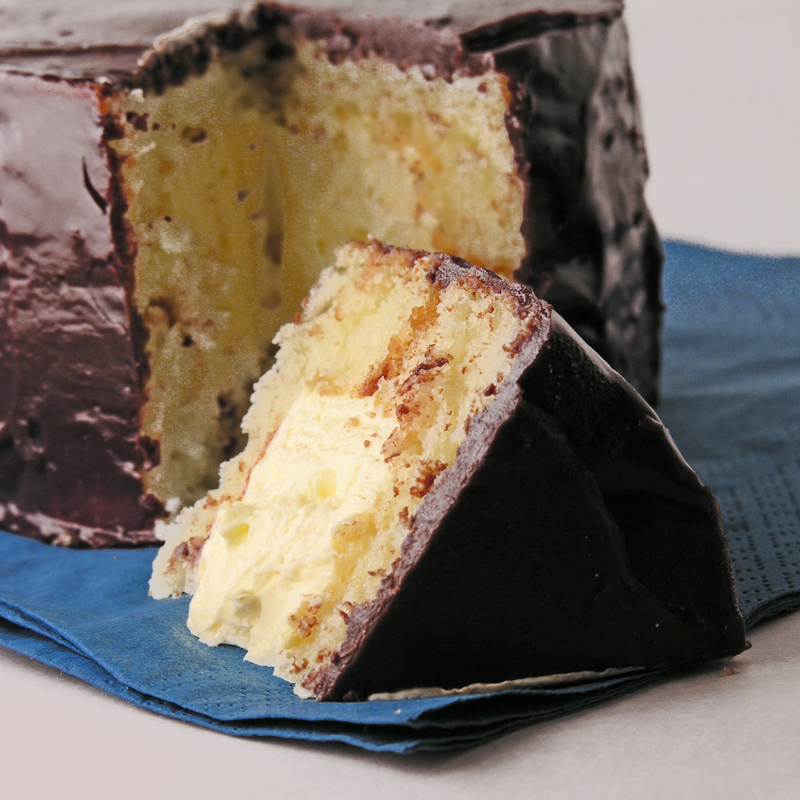 The marshmallow stays soft, and the soft chocolate layer on the inside….? Oh my. Place cookie dough and crushed grahams (save 2 to 3 tablespoons of crumbs to sprinkle over cups at end) in a mixing bowl and using hands, combine crushed grahams with cookie dough until completely incorporated. Bake at 350F degrees for 7 to 9 minutes, until turning a light brown at edges. 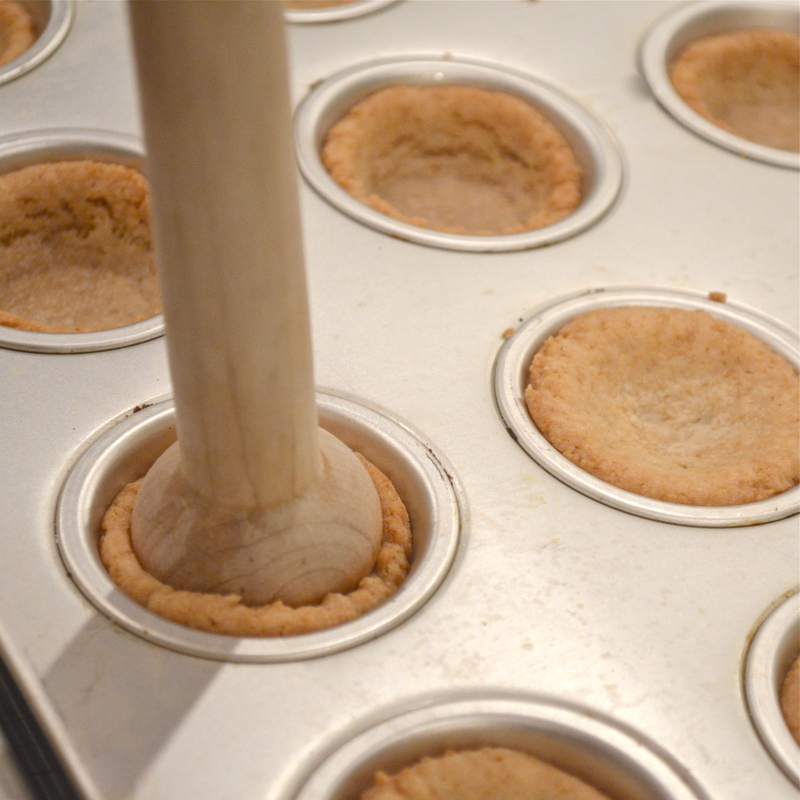 Allow cups to cool for 2-3 minutes and then gently run a small knife around the edges and pop the cup out of the tin. Allow cup to completely cool on counter. In a small sauce pan, heat up heavy cream until just bubbling at the edges (20 seconds or so). Add chocolate chips, cover and allow them to sit for 5 minutes. 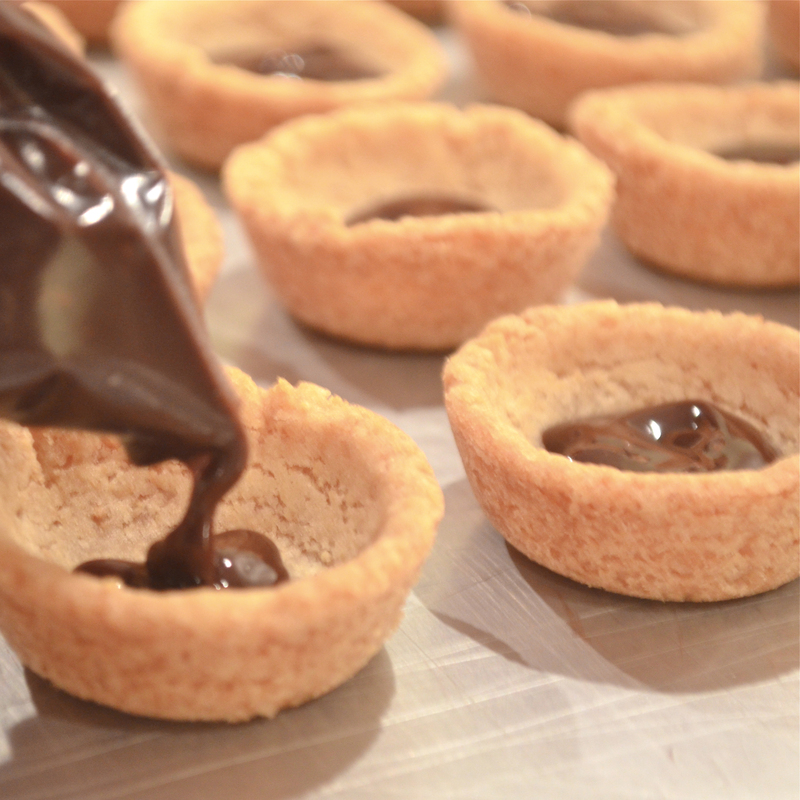 Place chocolate sauce in a zip-top bag, clip a corner and pipe chocolate evenly into each cup. Fill a mug or small bowl with HOT water, and place a medium cookie scoop into it. 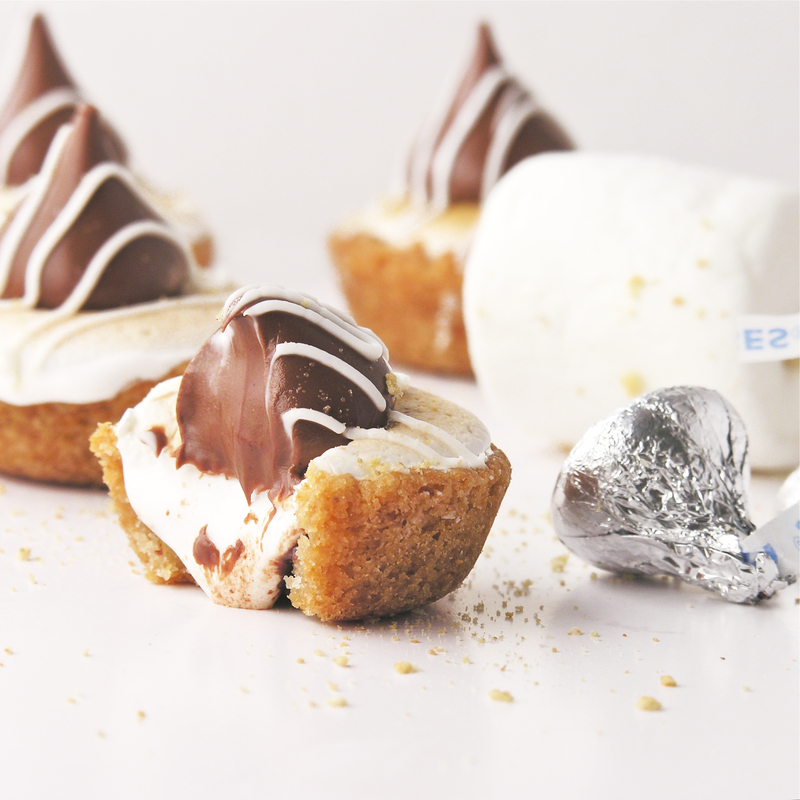 Shake off excess water and scoop one scoop of marshmallow fluff into each cookie cup. Place scoop back in hot water as soon as the fluff starts to stick to the scoop. Turn broiler on high and place entire cookiesheet full of cookies in the oven under the broiler. WATCH the cookies– in about 30 seconds the marshmallows will start to brown. 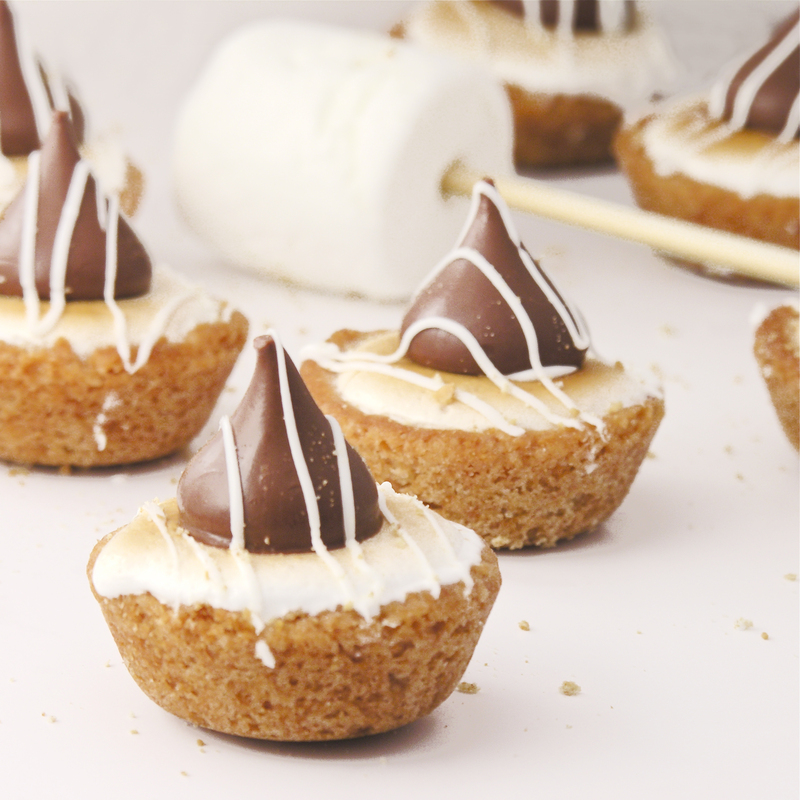 Take the cookie cups out and immediately place a Hershey kiss on the top of each hot marshmallow top. Sprinkle with graham crumbs (and drizzle with a little white chocolate if you like). Let these sit for about an hour. 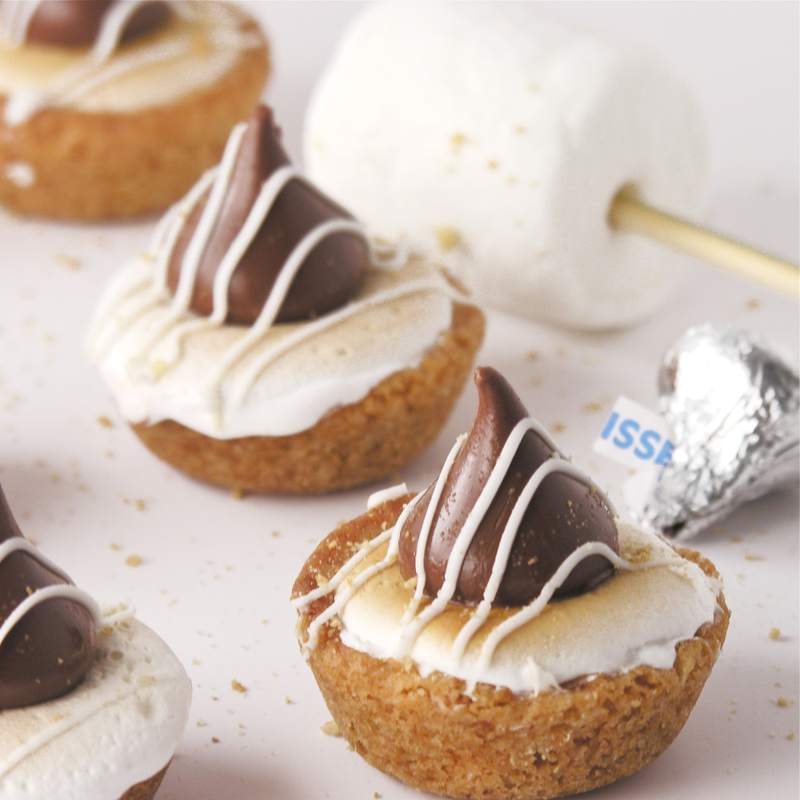 The bottom of the kiss will melt and attach to the marshmallow. You can serve these warm, or at room temp. Once they are cooled, you can store them in an airtight container for about a week. Posted in Candy, Cookie Cups, Cookies and tagged baking, best smore recipe, best summer dessert, chocolate, chocolate ganache, chocolate layer, cookie cups, cookies, dessert, food, graham crackers, hershey kisses, jet puffed marshmallow, marshmallow fluff, melted chocolate, muffin tins, recipe, s'mores, S'mores desserts, sugar cookie dough, summer dessert, sweet chocolate chips, toasted marshmallow. Bookmark the permalink. 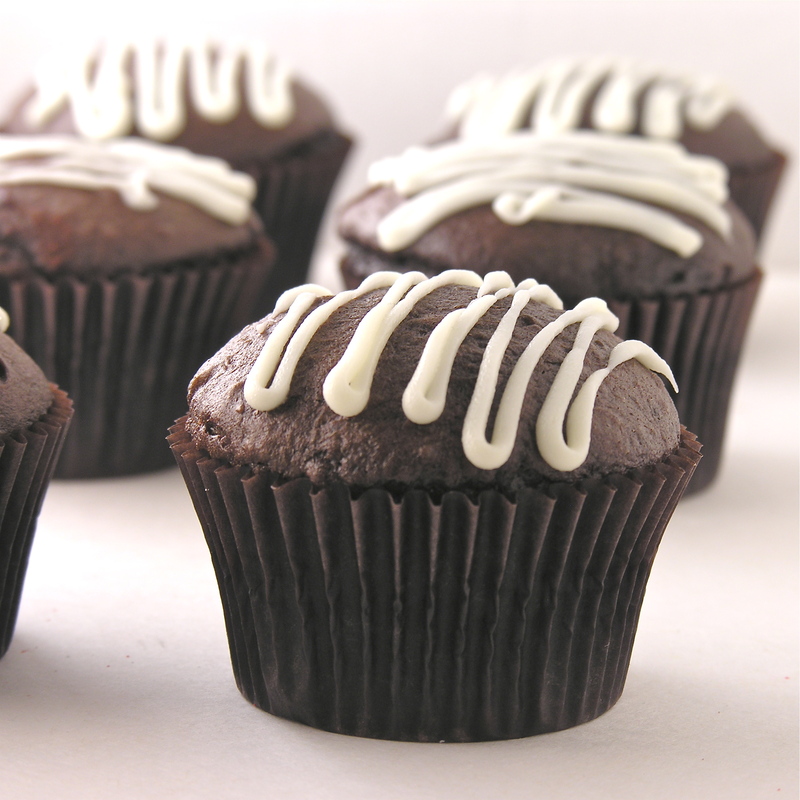 These rich chocolate cupcakes are made with a cake mix, but filled with warm chocolate fudge that pours out when you take a bite~ yum!!!!! Heat semi-sweet chips and whipping cream in the microwave, stirring every 30 seconds until completely melted and smooth, making a ganache. Refrigerate for about 2 hours, until hardened to a soft fudge consistency. Roll balls in cocoa powder and keep refrigerated until use. 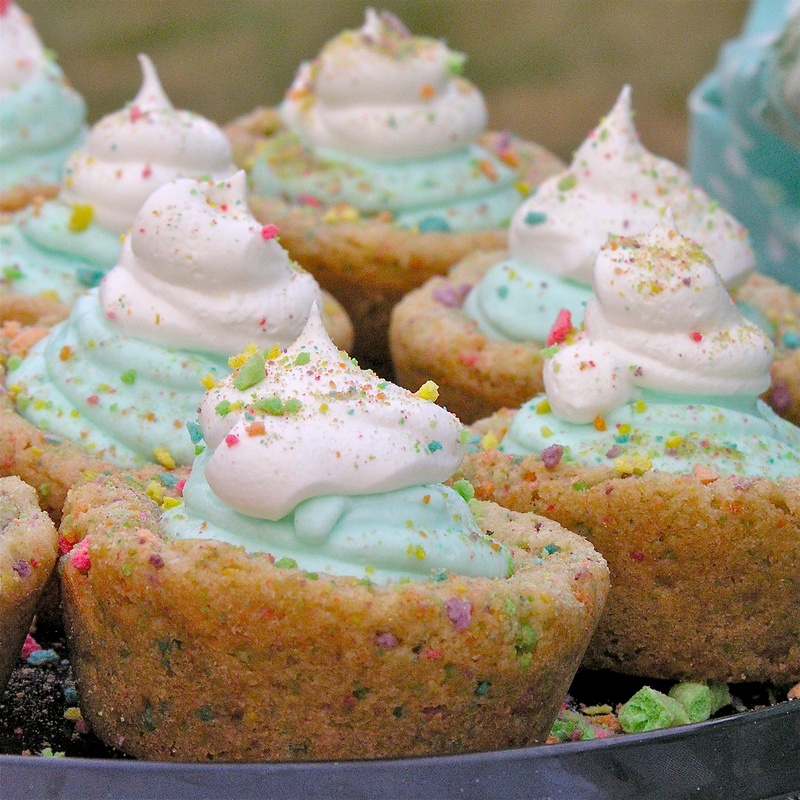 Make cake mix according to box and spoon about 1 1/2 tablespoons of batter in 18-20 cupcake liners in tins. 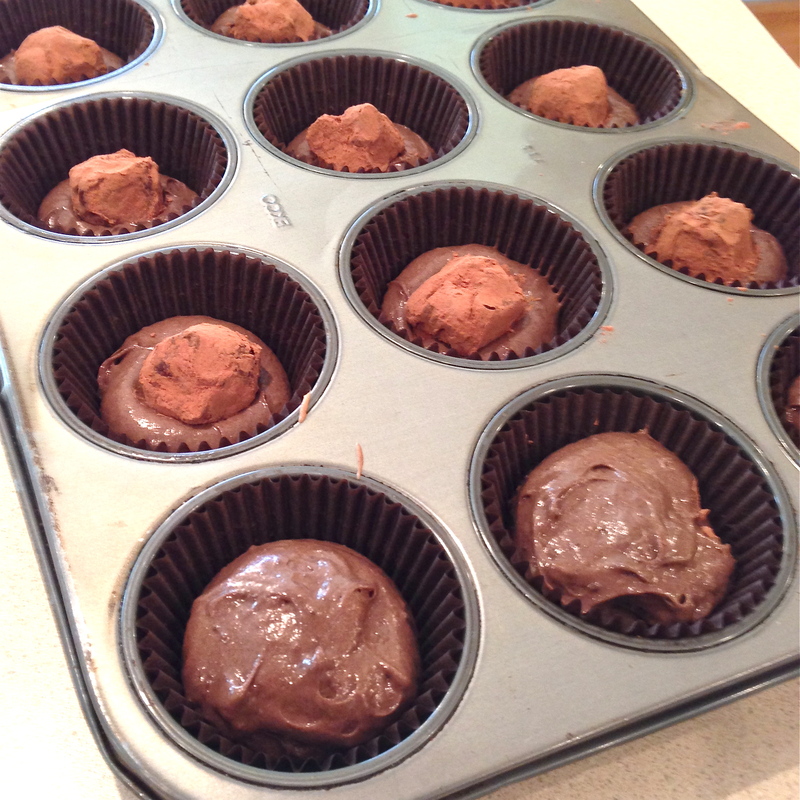 Gently press a ball of ganache into the center of each cupcake. Cover each ball with a small scoop of cake batter- just enough to cover the ball completely. Bake at 350F for the time recommended on the box. Remove from oven and serve warm with ice cream and drizzles of white chocolate. 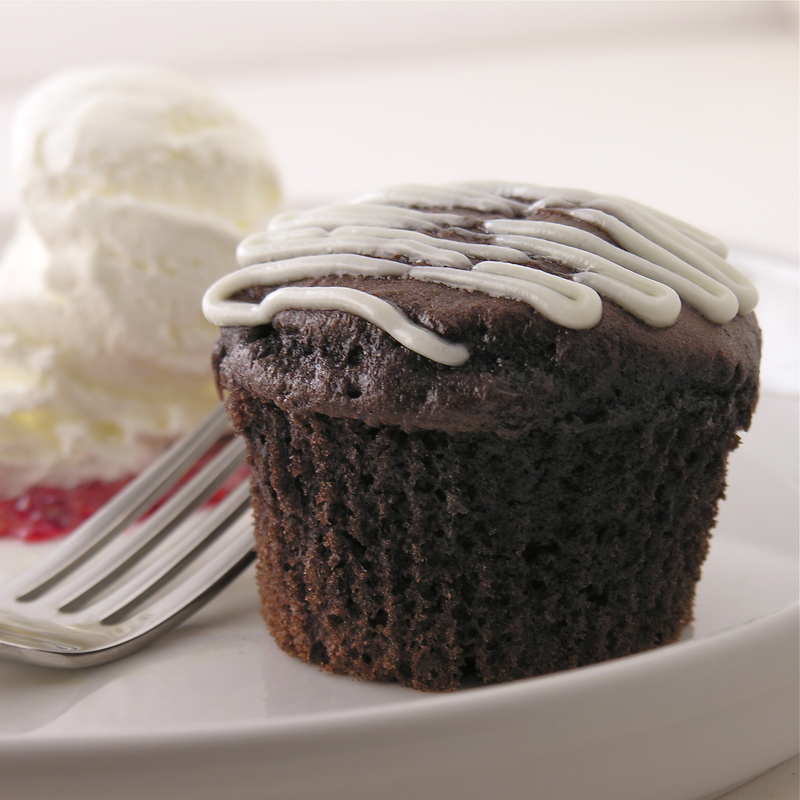 If you aren’t serving immediately, warm each cupcake in the microwave for 15-20 seconds before serving. 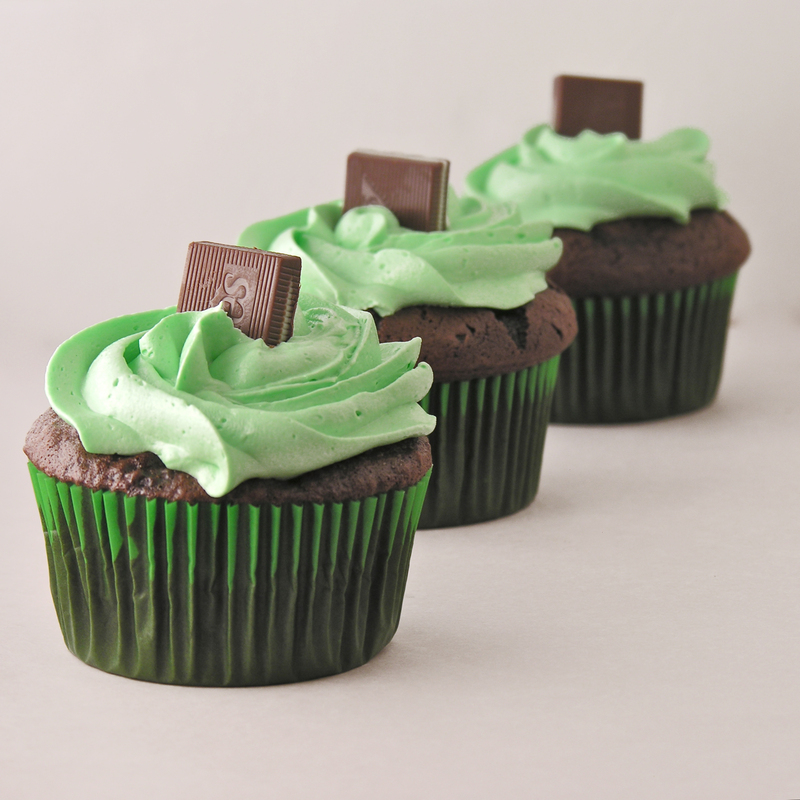 Posted in Cakes, Cupcakes and tagged baking, cake mix, chocolate cake mix, chocolate cupcakes, cocoa powder, dark chocolate, dessert, food, ganache, lava cake, lava cupcake, molten lava, molten lava cake, recipe, semi-sweet chocolate, sweet chocolate chips, warm cupcakes, whipping cream, white chocolate. Bookmark the permalink. 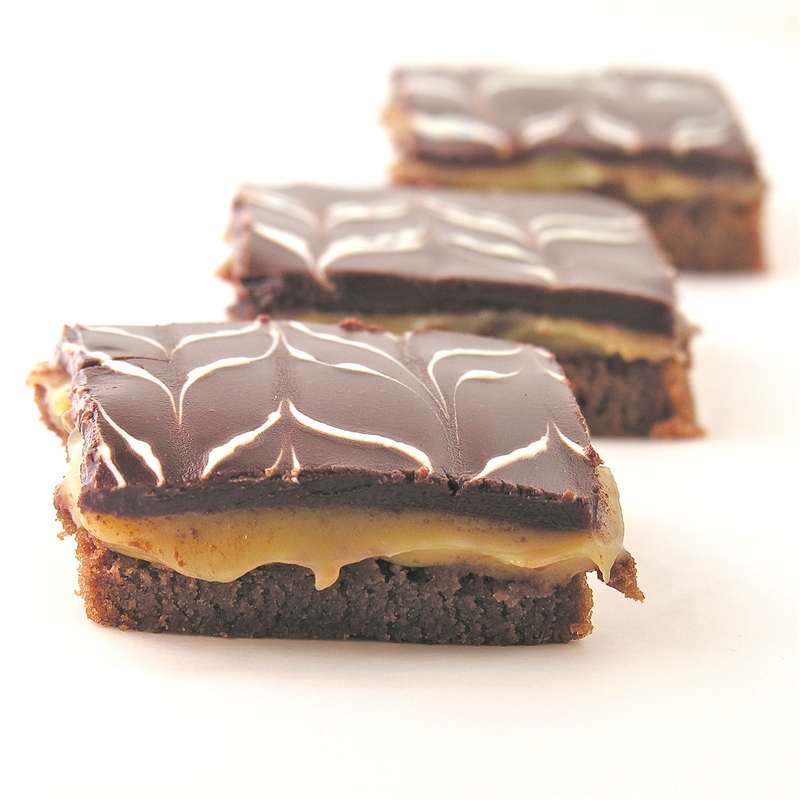 Layers of brownie, soft caramel and fudge make this dessert irresistible!!! 1 (14 oz.) can of sweetened condensed milk. Add flour and milk (alternating them and mixing well in between). Spread evenly in greased jelly roll pan. Bake at 350 degrees for 15 minutes or until done in center and just starting to pull away from sides. 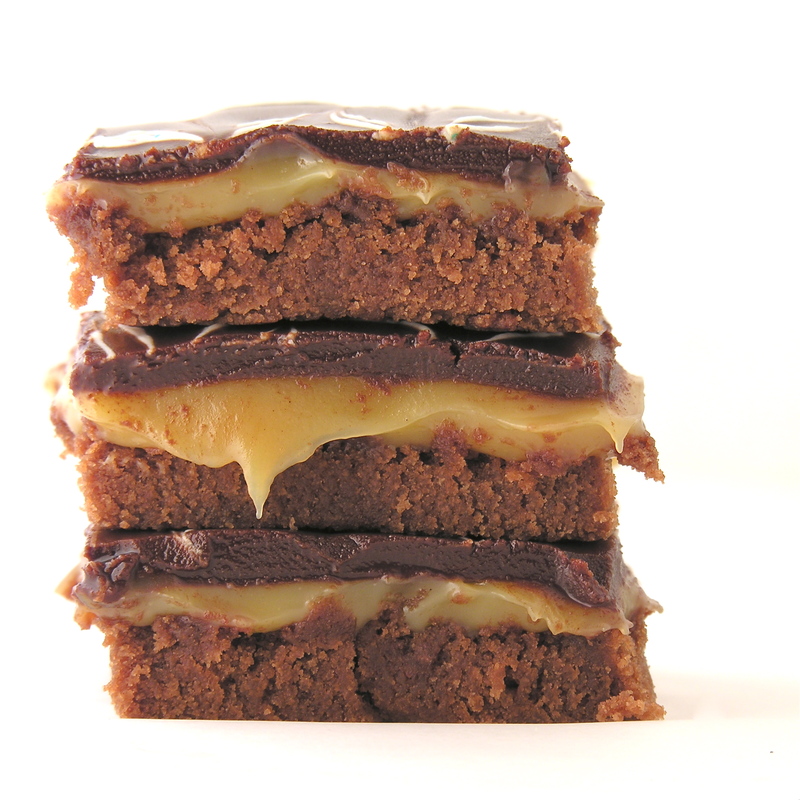 Place unwrapped caramels, butter and sweetened condensed milk into a saucepan and heat until completely melted. Stir this constantly to prevent scorching (about 6-8 minutes). Gently pour over cooled brownies and spread to edges. Put entire pan in freezer while you make the glaze (10-15 min) to allow the caramel to harden a little. Chill until top layer is hard and cut into bars. 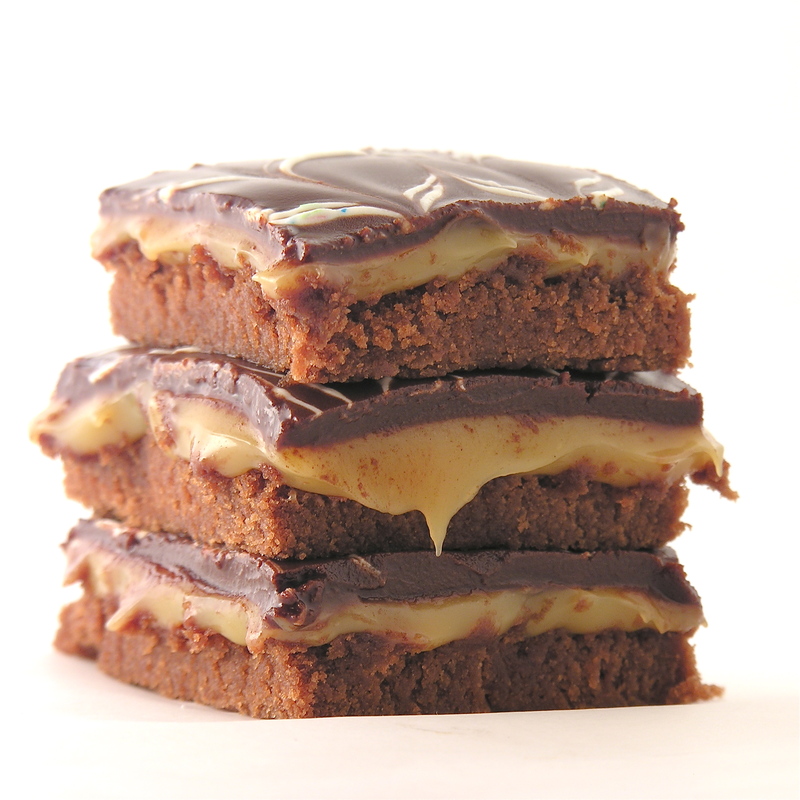 Posted in Brownies and tagged baking, brownies, caramel, caramel brownies, chocolate, dessert, food, fudge, fudge brownies, jelly roll pan, Kraft caramels, sweet chocolate chips, sweetened condensed milk, turtle brownies. Bookmark the permalink. 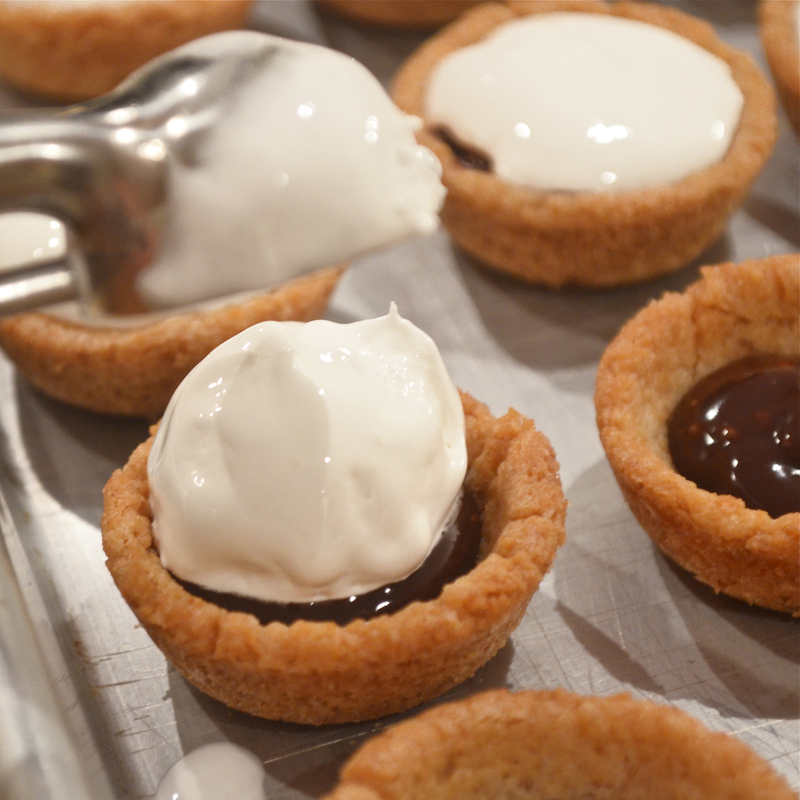 These miniature Boston Cream Pies are the CUTEST treat! Covered in chocolate glaze with a surprise yummy filling in the middle, these are sure to make you and your family smile! When you are as obsessed with desserts as I am, you get really fun kitchen presents! For my birthday last year, my friend Angie got me the most adorable Mini Cake Pan ever. 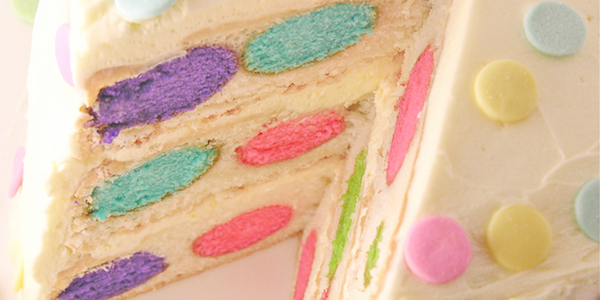 They are made by Wilton and they create cute little layer cakes that have a square of filling on the inside. 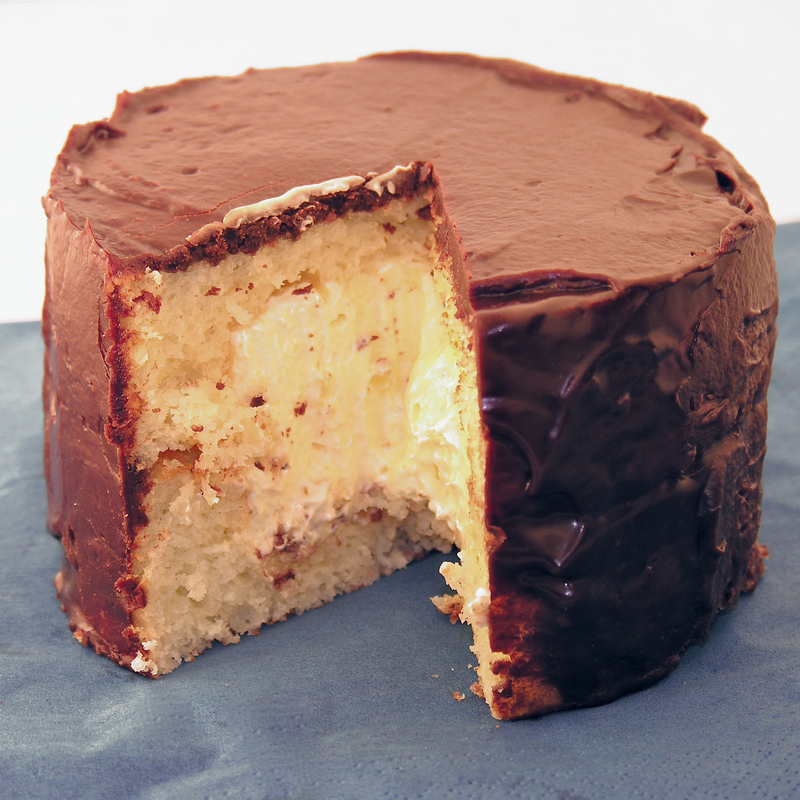 I love them and decided to use them with this Boston cream Pie recipe instead of just a plain old regular size cake. If you want to try the pans out just click on Mini Cake Pan and you can see them on Amazon– if you don’t want another kitchen gadget (I totally understand the dilemma!) just make this recipe in two regular round cake pans- put the filling in the middle and just pour that glaze right over the top. 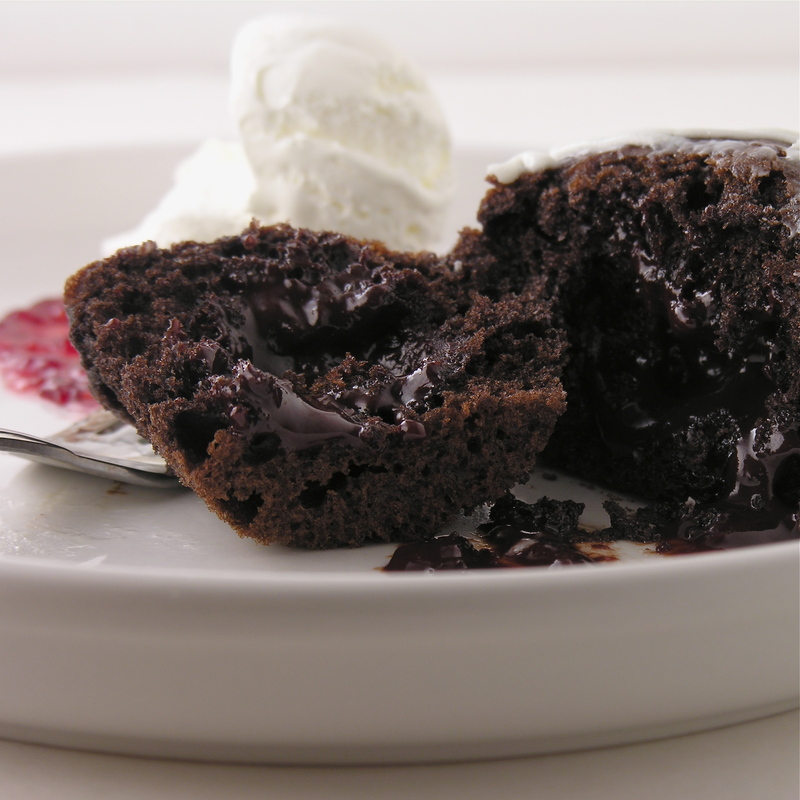 Make glaze 1st: Melt together chocolate chips, butter and corn syrup and mix well. Refrigerate at least one hour. Make cake mix (whole egg method) according to box. Spoon about 1/2 c. batter into each well greased Mini Cake Pan. Place pans on a cookie sheet and bake at 350 degrees for 18-20 minutes. Tip pans over onto a cake rack and allow cakes to cool completely. Repeat process (one cake mix makes 4 to 5 full (two piece) cakes). To make filling, combine pudding mix with milk and whisk for 2 minutes. Fold Cool Whip topping in and set aside for at least 5 minutes. 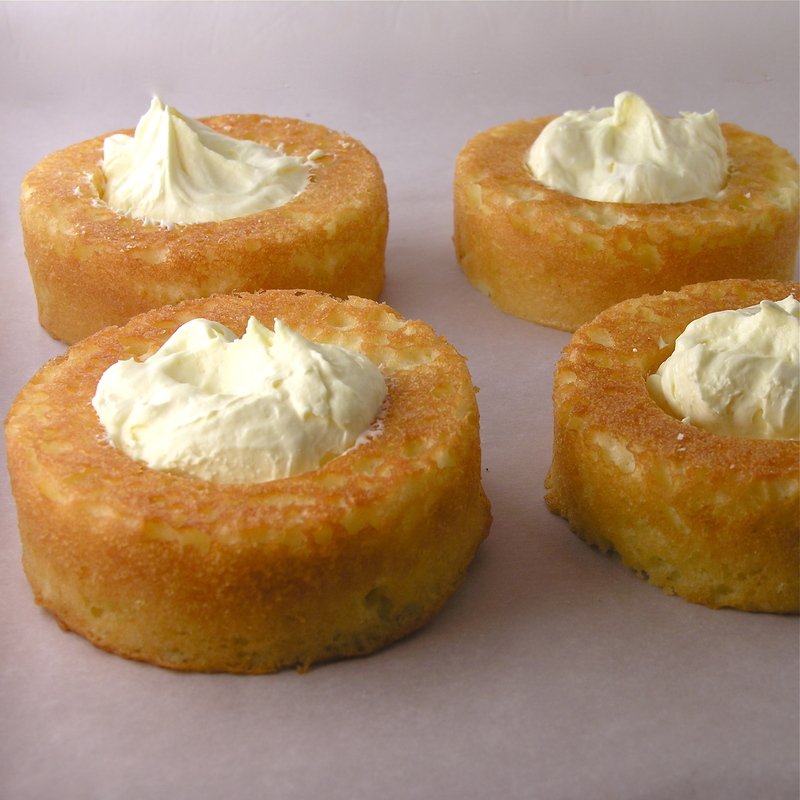 Trim bottoms of cakes flat and spoon filling into each cavity. Tip one cake on top of the other, keeping the filling in the center. 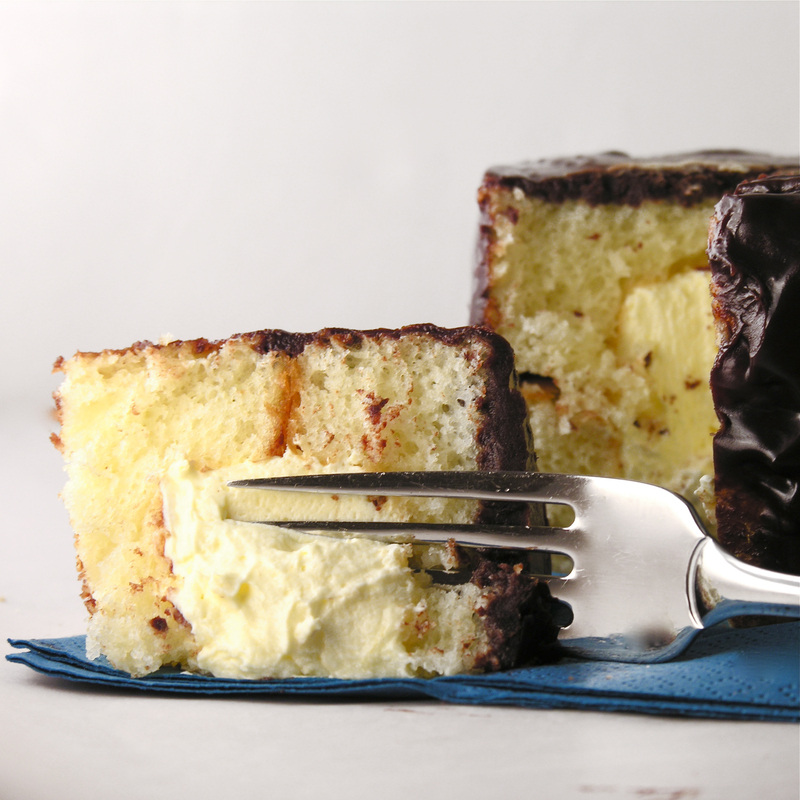 Remove glaze (it will be pretty thick) from the fridge and frost tops and sides of each cake. 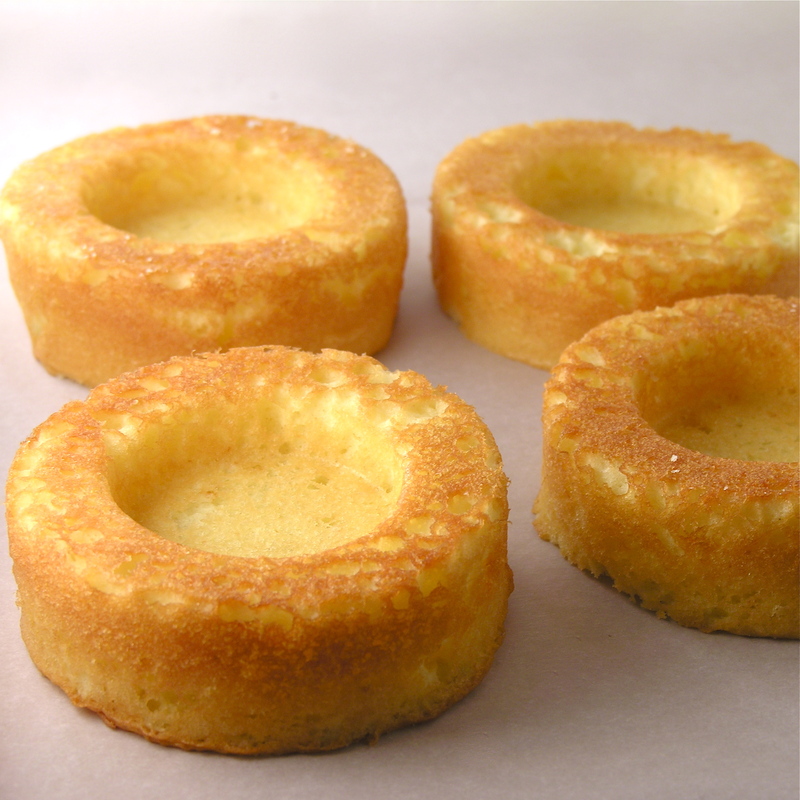 Reheat remaining glaze and pour over the top of each cake to make a smooth outer layer (do this on a cake rack over a cookie sheet so excess glaze can drip through). Chill until glaze is hard. Posted in Cakes and tagged baking, Boston Cream pie, boston cream pie recipe, cake, chocolate, chocolate glaze, custard, dessert, filled cake, food, layer cakes, mini cake pans, mini desserts, party dessert, recipe, shower dessert, sweet chocolate chips, unique dessert, wilton cake pan, Wilton mini filled cake pans. Bookmark the permalink.